Hi, My name is Colm and I'm from Ireland. I have been wanting to start an online business for some time now and so I am very pleased to have found this site. It looks great and I am really looking forward to learning and interacting with the community. Cheers! I wish you all the best in your WA ventures. You're welcome and thanks for following me too. All the best to you in your WA ventures too. Thanks for the follow. I am now following back. best of luck at WA! Thanks James, all the best of luck to you too! Hello Colm, I've seen you in here lately and its good to meet you. Thanks for your follow and I've got you back. All the best. Thanks for that and thanks for the training links you posted to my comment the other day, really appreciated it. All the best to you too. Your welcome any time I can help, feel free to pm me. Thanks Marion. Yes, it's a great place WA. Thanks Andre, wishing you well too. No, you're right, I've been in WA a while now. Still working away at it, slowly but surely. Wishing you every success too. Hello Colm, thanks for following, all the best to you here, cheers. Hi Colm, it is nice to speak to an Irish man. I spent 3 years in Dublin in the late nineties and have found memories about it. I look forward to hearing about your success with WA. Hi Phil, sorry for my delayed response. Glad to hear you enjoyed your time in Dublin. It's not a bad spot. I look forward to hearing about your success in WA too. Thanks for the follow Colm...wishing you every success.Happy Paddy's Day from an ex pat here in aussie. Happy Paddy's Day to you too! Colm. Thanks for the follow. Welcome. Thank ya' for the follow Colm!!! Hello Colm, Bill here from just over the water in England. See you made your first sale in October,I hope you have continued to make sales and your reaping the benefits of your hard work. I would like to keep in touch. Yes, I'm still working away at it, had a few more sales alright so building slowly but surely. Definitely keep in touch. If I can help out in any way just drop me a note. I'm still pretty much a newbie but have 8 months under my belt now so know a fair amount at this stage I guess. The community is great. If you're stuck, search the training resources and so on and if you still have no joy, just ask. Someone will always help you out. It's pretty cool that way. Best of luck for now Bill. To your success! Thank you, Dove. A warm welcome to WA. Best wishes for 2014. Hi Colm, thanks for the follow back! Best wishes to you here and see you in the community. Hey there - I've seen you around Google+ but noticed I wasn't following you within WA! So hello and nice to meet you! Hi Wendyjane, thanks so much. Yeah, I'm still trying to get my head around Google+ ... great to meet you too! Me too, Google + confuses the heck out of me - is it just me or is it not very user friendly? I never used it til I started with WA. ha ha ... yeah, it's a bit 'unique' shall we say and I wouldn't call it user friendly either. Glad to meet you Colm. At first I thought it said Calm and I was so excited Calm was following me. But, Colm is OK too. Best wishes. Lol :) the name Colm is an Irish word for Dove. I was called this as I was born close to Pentecost Sunday which the Dove is the symbol for. 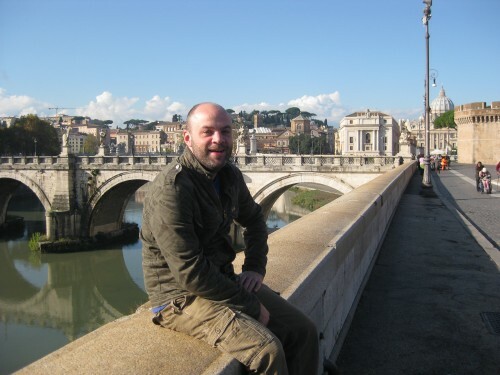 Hi Colm: When did you see my site? I'm trying to make it more interesting but it still looks boring to me! I just fixed up pages/posts today. Thanks, though, for the great comment! I haven't actually seen your site yet. I tried looking for it there but couldn't find it on your WA home page. I usually try to split my text up and use bold, colors where possible and that type of thing to jazz it up a bit for the reader. I'd be happy to take a look at your site and give you my thoughts if you'd like. I'm only a member of the WA community for 4 months now so still pretty new myself :) happy to offer an opinion though if you feel it will help. Hi Colm, Welcome to WA. I hope it all works out for you , if you need help or direction just get in touch. Thanks for following Colm. Good luck in your endeavours at WA. Thanks for the follow Colm. Best wishes to you on your journey to financial independence. Hey Mike, great to meet you too. 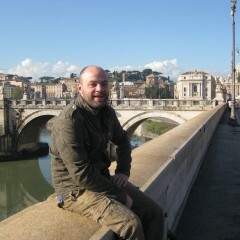 I can't recall which bridge it was exactly but It's over the river Tiber in Rome ... beautiful city! Hi, Colm! Thank you for the follow! I wish you all success you can have! Hi Colm. Welcome to WA, thanks for following me. If I can help, just ask. Thanks, I appreciate it ... I'm on the big learning curve :-) Enjoying it though! My WA Journey so Far!